It's been a while since I have done a Wednesday Wishlist, and I think I have one that would be really easy to implement. Interactive art does not have to be digital, require programming, or be exorbitantly expensive. All it has to do is invite the viewer to participate in or become part of the art. I had to go to Israel a couple months ago and was able to bring along my wife. 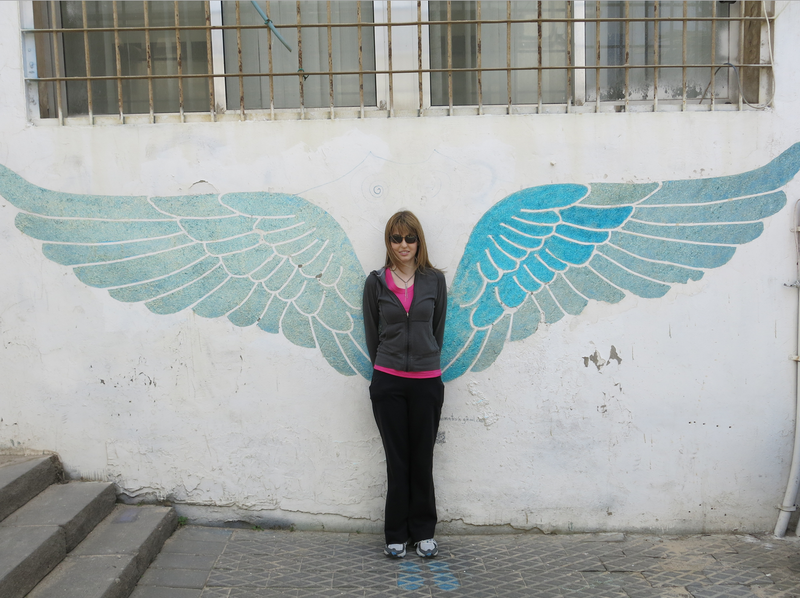 We were walking around the old Arab city of Jaffa when we discovered this little gem. Two hand-painted wings with a gap in the middle... that's all it was. Yet, there was a whole line of people waiting to stand in front of it and get a photo taken by their friends and family. Imagine if we had several of these types of simple interactive art installments spread across Downtown with just a touch of San Jose branding. Not only would it be fun and add even more character to our art scene, but every person that takes a photo and shares it would essentially be marketing San Jose. I totally agree! And not just in the SoFA District either. All over. There are so many blank walls that could have a little burst of color or unique piece of art on it. I visited some friends in the Chico area awhile back and loved how there were little pieces of art all over the place. We have some, but need more!